It is a sad story she was only 26 and lived at a place called Sheaf island. Does anyone know anything about Sheaf Island? The 1854 cholera outbeak must have been the last one to affect Sheffield as it was in that year in London that there was an outbreak of the disease that was confined to a very small area (Broad Street) which drew water from a communal well, and the work of John Snow proved that the disease was transmitted through contaminated water. It was not long after that the microbe responsible was identified and the treatment of drinking water by sterilisation and chlorination become standard practice on the grounds of public health. In Britain at least, cholera was eradicated. However, says he pre-empting red nose day by a week, in some countries, especially poor African countries, it remains a serious, potentially fatal disease to this day. The staff at the General cemetery were great I must add when they found out the cause of death and showed us the plot where our relative was buried. that flowed from the Bedford Dam (south) to Ponds Dam (north). 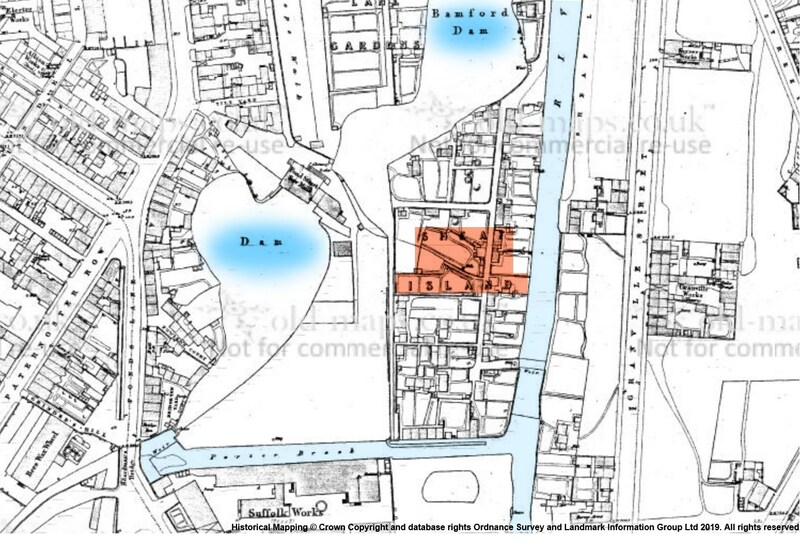 The first case of cholera that occurred in Sheffield, in September last year, was in Brown Street, situate in a low part of the town, in the vicinity of a large open sewer. It was in this same locality that the epidemic raged with the greatest violence in its previous visitations. (The two white circles make sense). A Newspaper account October 7th says there had been 173 deaths. Outside Sheffield the village of Wickersley was badly hit. Probably the reason for flare ups were British troops bringing it back. It was particularily bad in Ireland. Thanks for the info,have you got a copy of the newspaper article? Sorry not allowed to download it. Where would I find it then please? If you sign up with them. You are allowed to read and download 3 articles free. You only have to pay if you want to download more than that. And a book on Cholera written at the time of the outbreaks. Miasma lay in a festering drain. A home of clay, cemented with slime. 'Midst slop, and rot, and want, and crime. He lay securely, biding his time.
" Run, run, for Miasma lies hidden there !" It died unheeded away on the air. For they liked it much better than going to school.
" To save them from harm," Miasma said. But they sighed a last sigh. He had stolen their breath. And had wrapped them in Cholera's cloak of death. 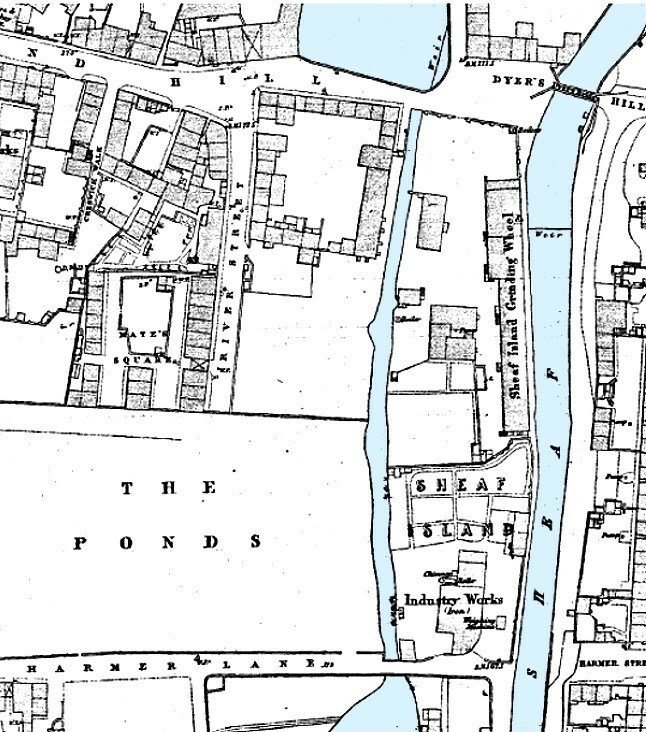 Surprised to find that Sheaf Island appears to have started (southern end), near the Porter Book and it's confluence with the River Sheaf, seen on this modded c.1853 map.